MOSCOW, November 15. /TASS/. November 15, 2018 marks 30 years since the Buran reusable spacecraft performed its first and sole flight. The Buran was part of the Energia-Buran reusable space system. It comprised the orbital spaceship, the Energia super-heavy carrier rocket and the ground-based space infrastructure. The Buran was capable of performing lengthy (up to 30 days) flights, orbital maneuvering, controlled descent and airplane landing on a specially equipped aerodrome. The groundwork for creating a reusable space system was laid in the mid-1970s at the Energia Research and Production Association (the former design bureau OKB-1 of renowned Soviet Chief Designer Sergei Koroloyov; currently the Energia Space Rocket Corporation based in the town of Koroloyov outside Moscow) under the guidance of Valentin Glushko who was the enterprise’s director and chief designer at that time. 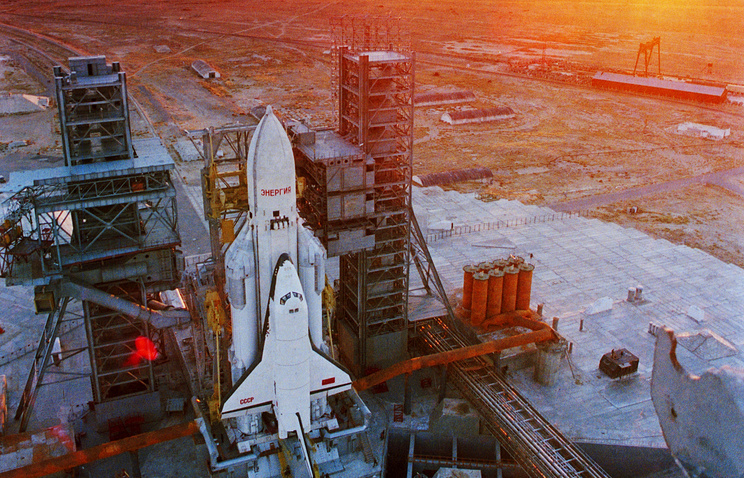 On February 17, 1976, the CPSU (Communist Party of the Soviet Union) Central Committee and the USSR Council of Ministers issued a resolution on creating a reusable space system and promising space complexes, which gave start to the Energia-Buran space program. The USSR Defense Ministry acted as the customer of the project and its technical specifications were issued on November 8, 1976. By that time, the United States had already assembled the Enterprise spacecraft developed under the similar Space Shuttle program and started preparing for its launch. The Buran space shuttle came as the Soviet response to the US program. The Energia Research and Production Association was chosen as the lead developer of the Energia-Buran reusable space system. Apart from carrying out general work coordination and creating the Energia two-stage rocket, the enterprise also developed a propulsion unit for the Buran. The Buran’s conceptual design was ready by the end of 1976. The program envisaged creating five spaceships (item 11F35). As a result, two space shuttles were built fully and one Buran spacecraft was 30-50% ready while the fourth and the fifth orbiters were laid down but their construction never started. 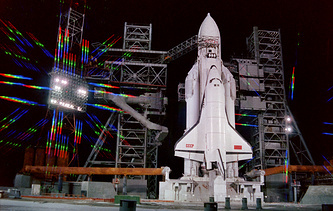 Several full-scale mockups of the Buran space shuttle were also created for various tests. The automatic landing mode was tested using the Buran’s full-scale copy - the BTS-002 (which stands for the large transport plane in Russian; item 11F35 OK-ML002 GLI deciphered as the orbital spacecraft, the mockup flight copy 002 for horizontal flight tests). Overall, 24 flights of the BTS-002 model were carried out in the atmosphere in 1985-1988 (including 17 flights in the automatic landing mode) with the involvement of six pilots who were members of the Team of Cosmonauts-Testers of the USSR Aviation Industry Ministry. Overall, 1,206 enterprises and organizations from various industries were involved in the Energia-Buran program. The USSR Ministry of General Machine-Building exercised general work coordination at the inter-departmental level. The program’s expenses were estimated at 16.4 billion rubles by the beginning of 1992. The space orbiter was designed as a low-wing monoplane. Externally, the Buran looked like the US space shuttle but could perform landing in an automated mode as compared to it. Also, the Soviet reusable spacecraft incorporated the crew ejection system. Externally, the Buran was shielded by 39,000 special heat protection tiles. Most of the surface was protected by the tiles made of superfine quartz fiber and flexible elements of heat-resistant organic fibers. Tiles made of carbon-based material were used to shield the high-heat areas of the fuselage (for example, the wing and nose cone edges). The protection cover could withstand a heat of up to 1,600 degrees Celsius upon the spacecraft’s braking maneuver in the dense layers of the atmosphere. The spaceship’s nose part housed the airtight cabin for the crew and major equipment. The Buran’s integrated propulsion system comprised two orbital maneuvering liquid-propellant rocket engines (17D12), 38 low-thrust control engines (17D15), eight engines of precise orientation, four solid-propellant emergency separation engines, and also fuel tanks. The main engines used environmentally friendly fuel components - the synthetic hydrocarbon fuel synthene and liquid oxygen. - designed flight duration - from 7 to 30 days. The Buran space shuttle had a service life of 100 flights. The orbital spaceship could perform flights both in the piloted and unpiloted (automated) mode. The assembly-testing and launch compounds were built at the Baikonur Cosmodrome for the Energia-Buran reusable space system. The aerodrome Yubileiny with a runway of 4,500 m was built in the Cosmodrome’s northern portion for the space shuttle’s landing. The airport of Simferopol (where a runway of 3,701 m was built in 1982) and the Khorol military airfield in the Primorye Region in the Russian Far East (with a runway of 3,700 m) served as the reserve aerodromes for Buran space shuttles. An Antonov An-225 Mriya heavy long-range turbojet transport plane with the super-large lifting capacity was created specially for transporting the carrier rocket and the orbital spacecraft. The sole such aircraft was developed and built by the Antonov Design Bureau in Ukraine (currently, the Antonov State Enterprise, Kiev). The Soviet designers made a decision to carry out the Buran’s first testing flight in an automated mode using the two-loop scheme. Initially, the launch was scheduled for October 29, 1988. The pre-launch preparations proceeded in a planned manner and the weather conditions were favorable. However, 51 seconds before the launch, the automatic system signaled an emergency halt of the carrier rocket’s preparation. The launch was halted as the mast was untimely moved away from the carrier rocket. After the faults were removed and the Buran’s preparedness was confirmed again, the launch was scheduled for November 15, 1988. Despite unfavorable weather (low clouds, snow and rain and wind bursts of up to 20 m/s), the state commission did not put off the launch. The Buran space shuttle was launched at 06:02 a.m. Moscow time. The launch went off without a hitch and all the spacecraft’s systems worked in a normal regime. As was planned, the space shuttle made two rotations around the Earth and landed at the Yubileiny aerodrome 208 minutes after its launch. The Soviet news agency TASS reported at the time: "On November 15, 1988, the Buran orbital spaceship landed on the runway of the Baikonur Cosmodrome at 09:25 a.m. Moscow time after performing a two-rotation orbital flight around the Earth. For the first time in the world, the landing was carried out in an automated mode. The program of the test flight of the Energia universal space rocket transport system and the Buran orbital reusable spaceship has been implemented in full." During the second flight, the Buran’s second copy was planned to accomplish a seven-day mission also in an unmanned mode. Its program envisaged docking with the Mir orbital station and testing an onboard manipulator for the delivery of research modules into orbit. The third space shuttle was being prepared for a manned flight. There were plans to use the Buran reusable spacecraft for servicing space stations and delivering various space vehicles into orbit. However, the program was put on hold due to the shortage of financing. After the disintegration of the Soviet Union, it was transferred from the Defense Ministry to the competence of the Russian Space Agency. In 1993, the program was shut down and its accumulated potential was put on hold. Although the Energia-Buran program was shut down, it gave rise to new technologies that found their application in outer space and on Earth. For example, the engineering materials developed for the Buran’s docking with the Mir space orbiter were used in the Russian-US Mir-Shuttle program: in 1995-1998, the space shuttles made nine dockings with the Russian space station. At the Russia Arms Expo exhibition in Nizhny Tagil in October 2013, then-Deputy Prime Minister of Russia Dmitry Rogozin said the following: "The future aircraft will be able to climb to the stratosphere while space vehicles can operate in both layers of the atmosphere already now, for example, the Buran, which considerably outpaced its time. In actual fact, all these spacecraft are vehicles of the 21st century and we will have to restart using them, whether we want this or not. ".